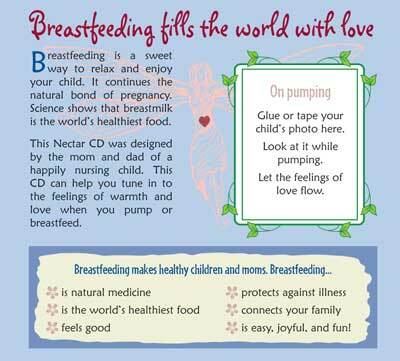 BREASTFEEDING FOR ALL SEASONS (spring, summer, fall, winter), supports the vision of all children breastfeeding at 1-2 years and beyond. 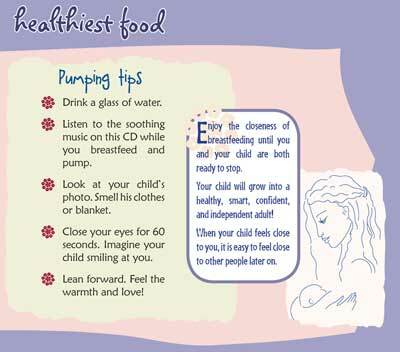 There are tips on enhancing breastmilk nutrition with a few healthy foods. 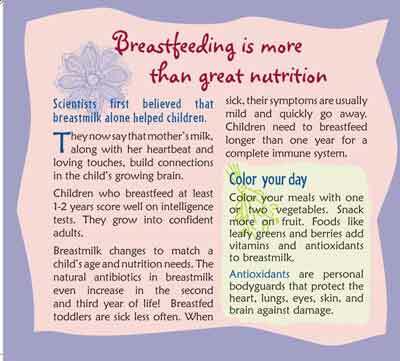 The benefits of nursing until natural weaning are highlighted. The music portion features world-renowned Chapman Stick player, Bob Culbertson. 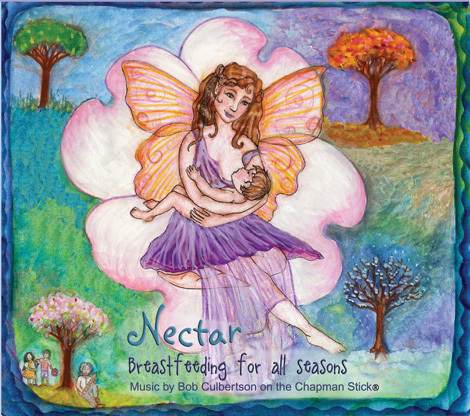 His music is a sublime backdrop for key nutrition, fitness, parenting and breastfeeding concepts which colorfully unfold in a 6-panel CD "pamphlet". Bob travels worldwide teaching and performing. Visit stickmusic.com for more about Bob's lifework, schedule, and music. Families In The Heart Of Education The Family Heart Series is an attention-grabbing blend of melody and health education, with creative artwork and multicultural themes. The six-panel CD style is easy to open and readily displays colorful educational content. The CD tray is made from 100% recycled plastic with at least 35% post consumer materials. The six-panel CD style is easy to open and readily displays colorful educational content. The CDs meet public health standards for safe information and incentive distribution. They are printed in North America. �2014 Nutrition Arts, All rights reserved.